UPDATE: For anyone coming to this post looking for a packet for the upcoming conference, you can click here for more links. In the meantime, I wanted to put up a few great tools to help out with General Conference Preparation. 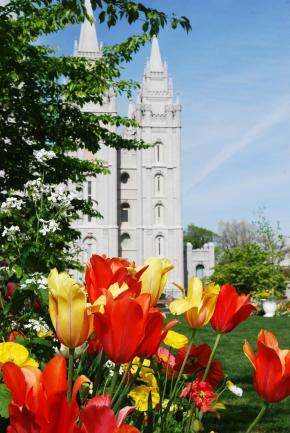 Finally, here is an article from the Ensign that I contributed to a while back: “Preparing Our Children for General Conference.” I can honestly say that my children LOVE conference and look forward to it and usually surprise us with how much they do pay attention. The article includes some games and activities that have worked smashingly for us in the past. I hope you can find something helpful there. This is a pattern I’ve tried to follow in the past, and I’ve learned that it makes my conference experience feel meaningful and personalized. I’m going to try and start the process now. Join me? I’m sure you have some of your own strategies, so I’d love to hear your ideas too. Happy preparing. And happy Spring break. « There should be no secrets in a marriage. Enjoy conference if you go! After i went to a session almost 4 years ago and got stuck in insanely horrid traffic coming home, I swore I’d only go again if someone very near and dear really wanted me to go with. I am so happy about conference coming. I can’t even tell you. Thanks for the links. What a valuable resource you have linked! Thank you. Ooh, I can’t wait for conference either. I hope you get to go! Enjoy it for me. I would love to go. Someday! I also love conference and especially when Easter falls on it. It just seems to make it a little more special. I would love to attend Conference but living in Utah we can’t get tickets! Enjoy!! I would just die to meet up with you while you are here. Let me know if you could squeeze in lunch one day. I love Sugardoodle. I was just talking with my sister about it (we’re both in our ward Primary Presidencies). And I’ve never thought of so mindfully preparing for General Conference before. Thank you for this insight. Oh how cute; I will try all of these. I’d love for conference to become a great experience in my home, as well. Thanks, Stephanie.